An Expenses form is used by an organization to record the various expenses incurred by it and its employees. This form allows the employees and other concerned authorities to enter all the expenses in an organized and systematic manner, making it easy for the accounts department to verify the details. Employees usually use travel reimbursement form or a daily expense form to submit the details of their expenses whereas a business expense form is used to track the expenses made for the business. 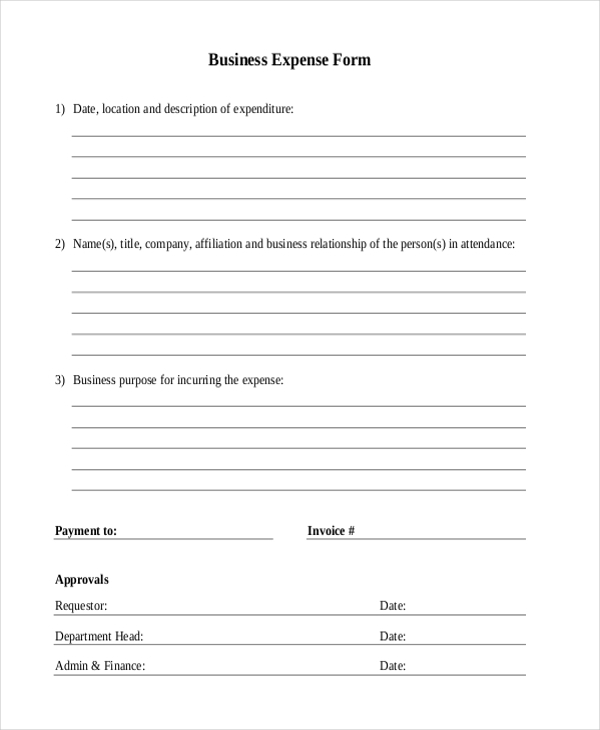 This form is used to elaborate the expenses incurred by a business organization or a concerned authority for the purpose of a particular business operation. The form comprises of segments like name, purpose of expense etc. 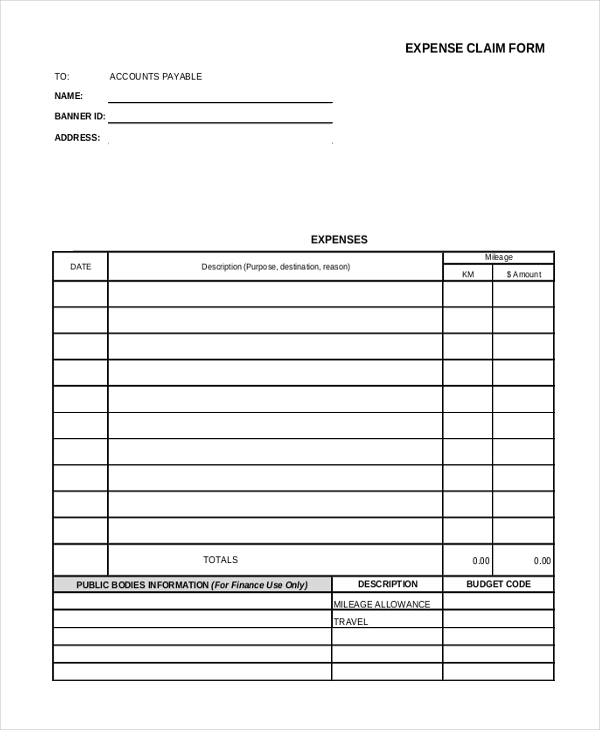 This blank expense form gives you an idea of what the format of an expense form should be. It comprises of all the important segments. You can use this form just the way it is or make necessary changes to it to personalize it. 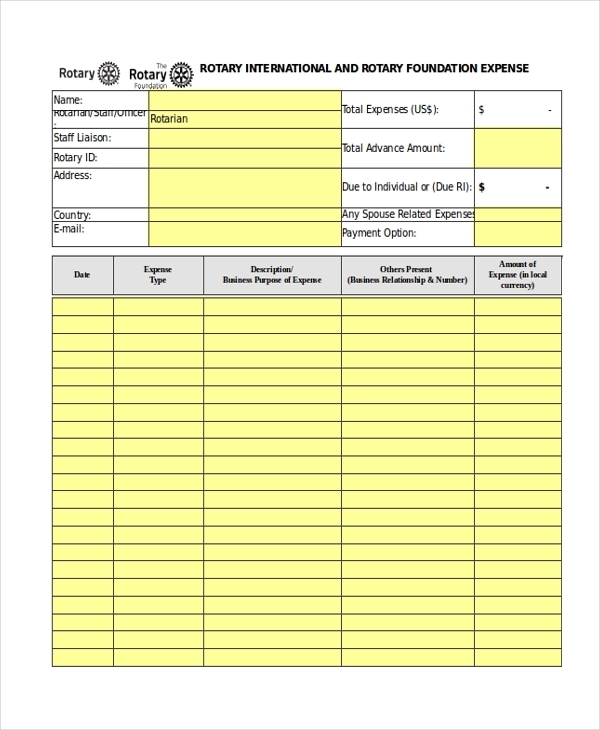 This form is generally used by employees who need to submit the details of their daily expenses to their company. The form comprises of separate columns for each day of the week making it easy for the employee to fill in the details. Used by an organization to enable its employees to submit the expenditure incurred by them in a systematic manner, this form makes the calculations and settlements easier of the accounts personnel. 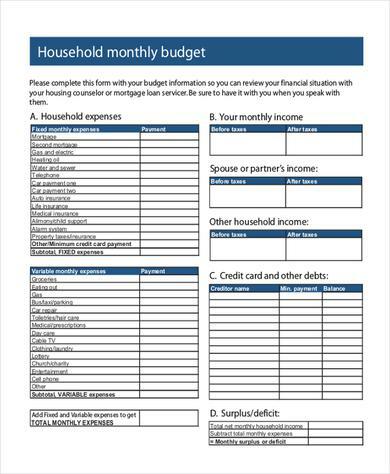 This form comes in handy to keep track of the monthly household budget. The user can enter the details of the various expenses in a systematic way which makes it easier for him to keep an eye on the money spent. 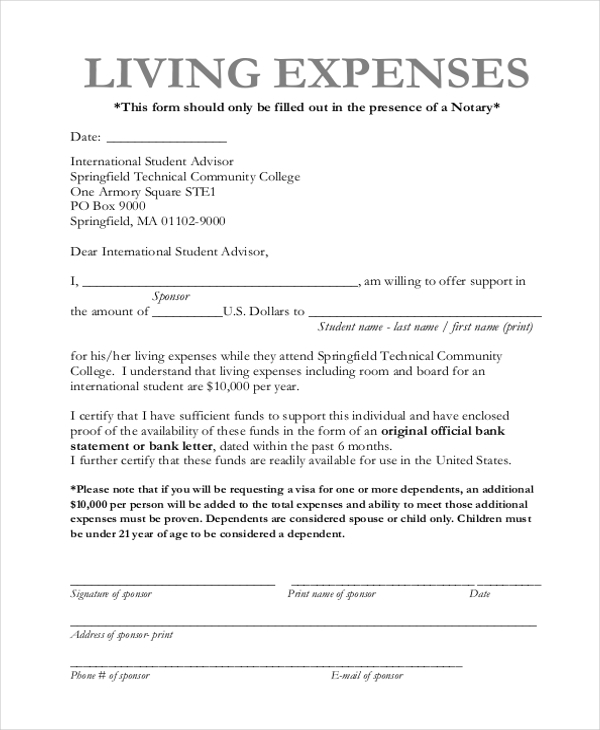 Used by a sponsor who might be extending his help to a student, this form enables him to offer a fixed amount of money to the student for his living expenses while pursuing his studies. 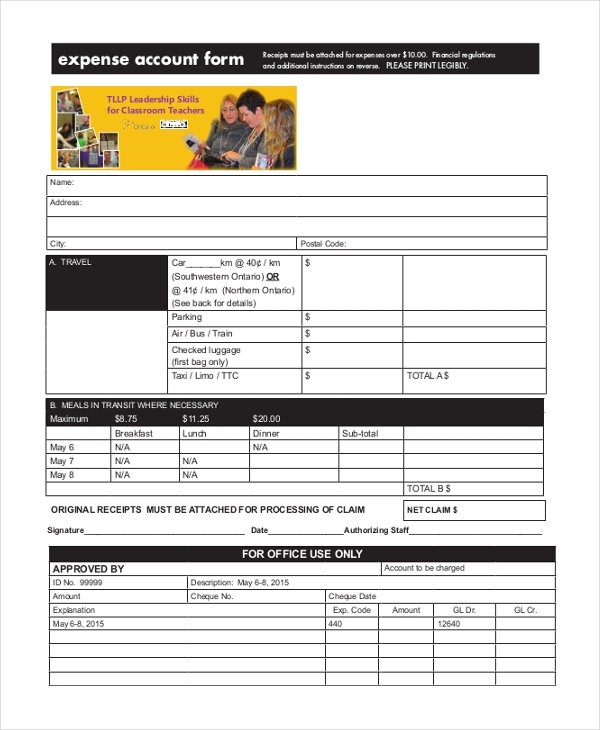 This form is generally used by the employees in the sales department to claim their petrol and toll expenses. It can also be used by the drivers of travel agencies to give details of the expenses incurred during a journey. A monthly expense form can be used by a homemaker as well as a business organization to keep track of their expenses through a month. This, in turn, would help them to plan a budget accordingly. Generally used by insurance companies, this form allows a person to stake a claim against his/her medical health policy by giving the details of the medical expenses incurred by him/her. 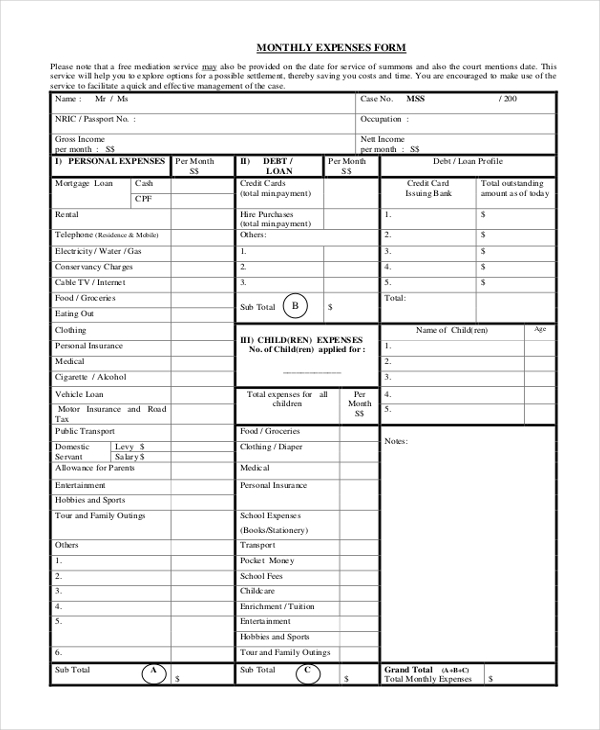 Used by the employees of an organization, this form enables them to submit the details of the expenses incurred by them while moving their home due to a transfer or relocation for job purposes. 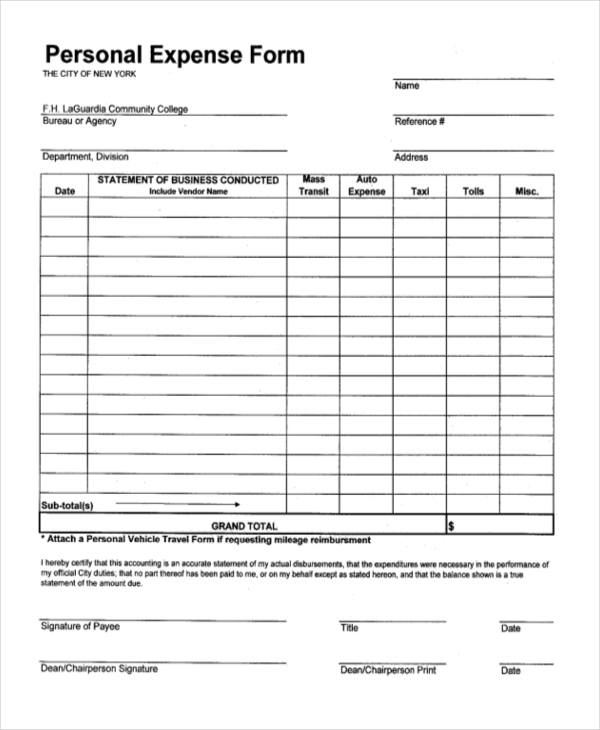 This form is mainly used by an employee of a business organization who is required to travel for business needs. 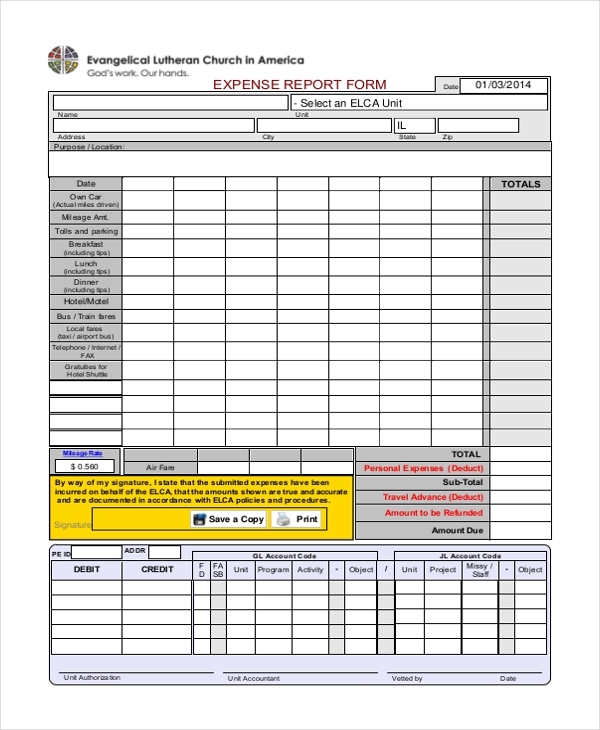 Using this form he can claim the various expenses incurred by him during the journey. As the name indicates, this is a sample of how an expense form should look. It comprises of all the important segments that should be included in such a form. You can further customize it as per your requirements. 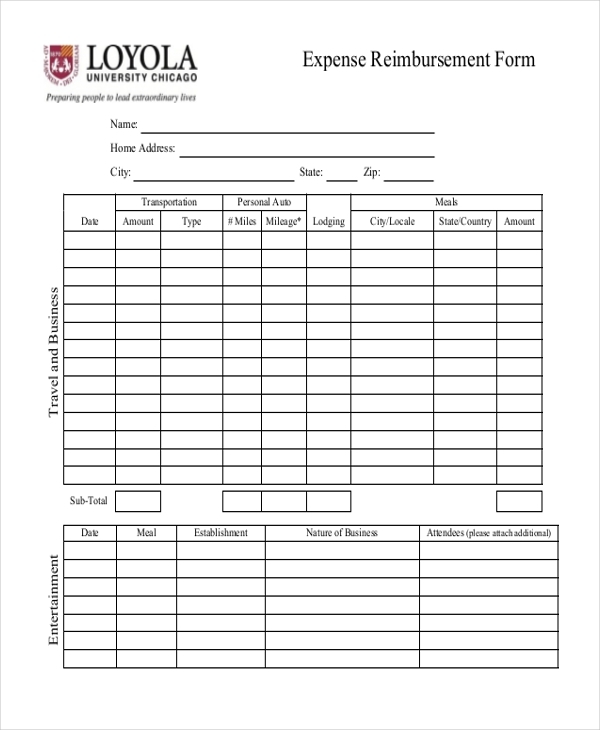 Used by a student of a college/university or by an employee, this form enables the user to submit the details of the expenses incurred by him while traveling for a certain purpose on behalf of the college/company. 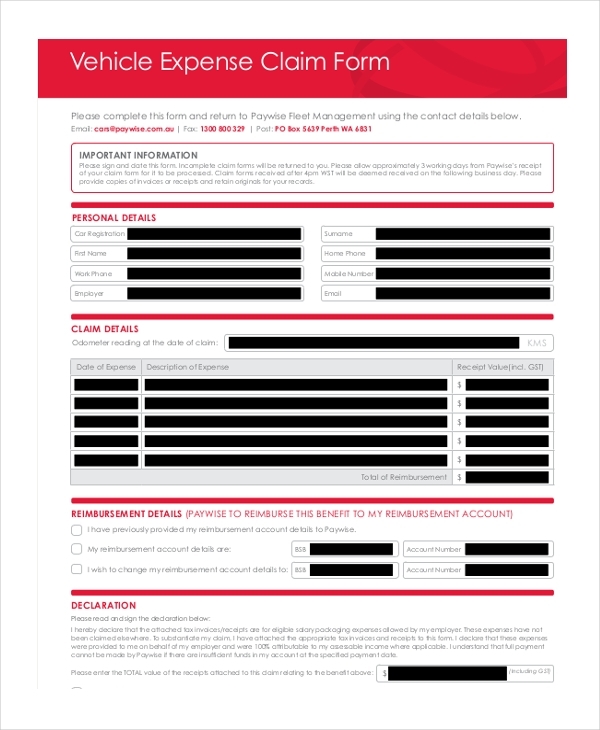 When an employee uses his personal vehicle to travel various places for business purposes, he can use this form to claim the expenses like petrol, maintenance etc., incurred for the vehicle. 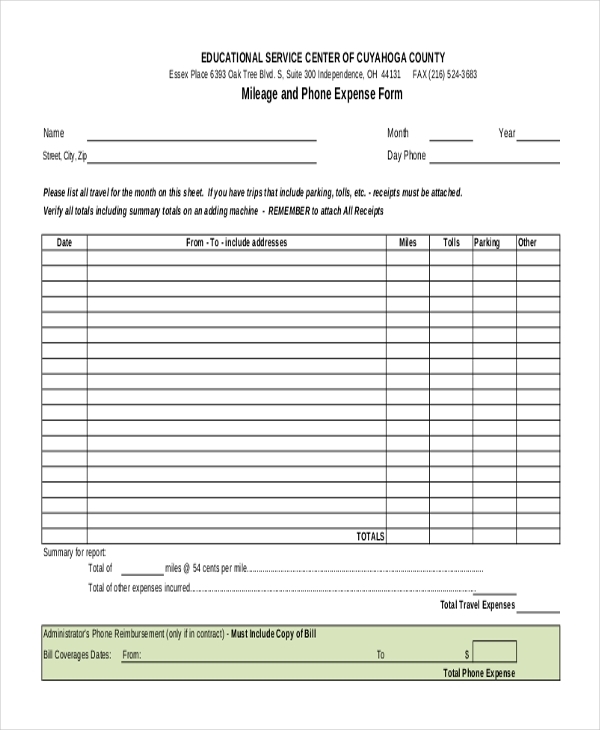 This form is generally used by a business organization to simplify the process of claiming the expenses for their employees. The form includes the arrangement of all expense subheads in a systematic manner. 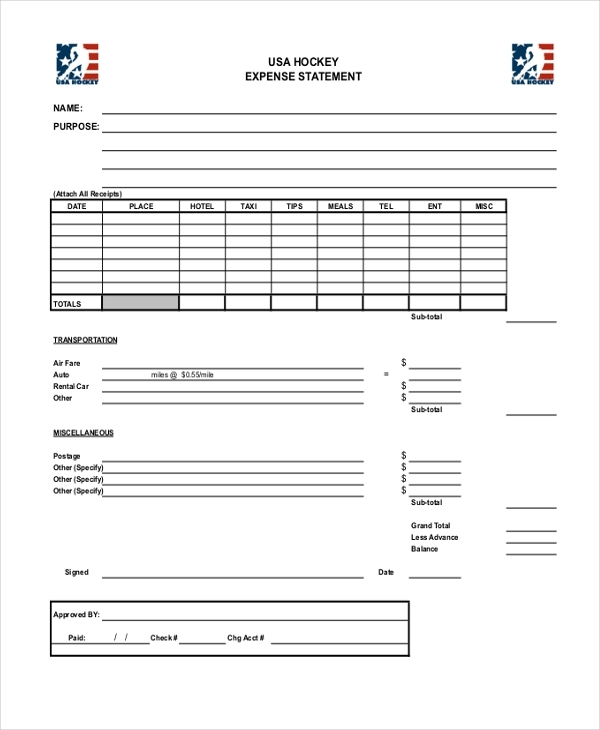 Used by employees to submit the details of the expenses incurred by them while traveling or going out for business purposes, this form comprises of all the important expense subheads. 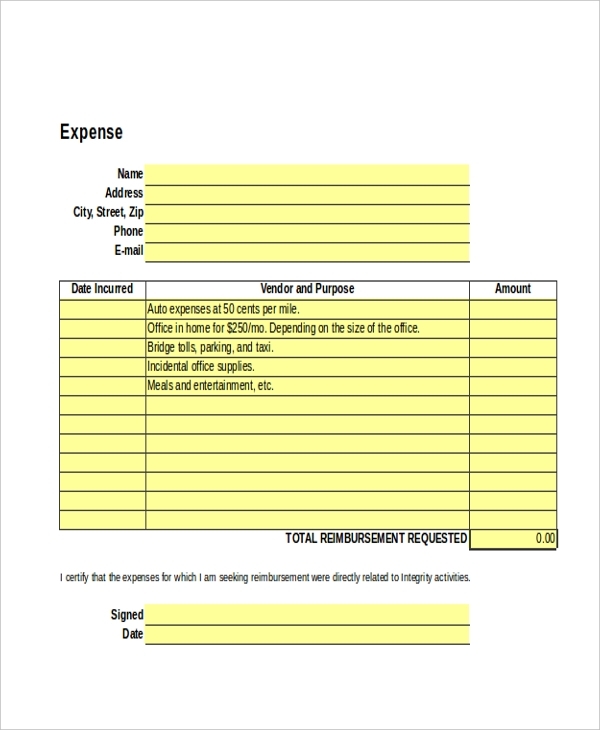 An expense claim form can be used by any organization to simplify the process of expense claiming for their employees. 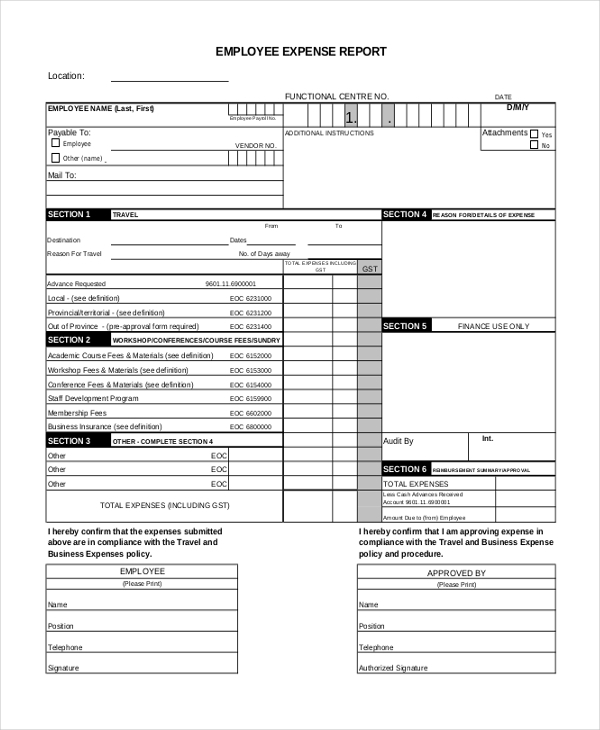 Using this form it makes easier for the accounts department to verify and settle the expenses. This is an elaborate expenses spreadsheet that makes it easier for the authorities concerned to calculate the expenses using various excel functions and formulae. This, in turn, simplifies the whole claiming and settlement process. 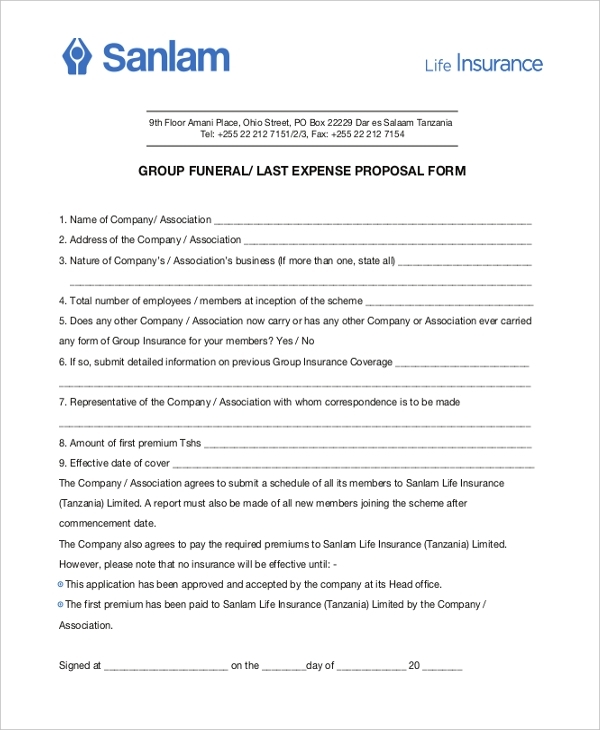 This is a proposal form that is used by an organization to offer a proposal of group insurance or other such schemes to its employees. The form allows the company to share the details of the expenses incurred by it for the purpose. Used by an organization to make submission of expense details and reimbursement of expenses, this form allows the employees to submit the details of their expenses in a very organized manner. Who Should Use Expenses Form? An expense form allows the user to elaborate on his/her expenses in a very organized and systematic manner by entering the details under specified subheads. Thus, any person or organization, who needs to keep track of the various expenses should use an expense form. 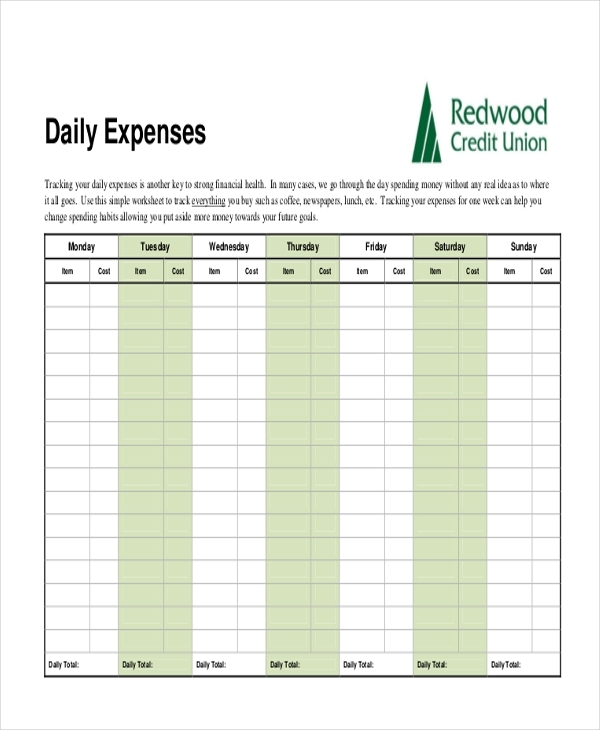 Homemakers can use this form to keep a tab on the various monthly expenses that they incur. This, in turn, can help them to decide on a feasible monthly budget. 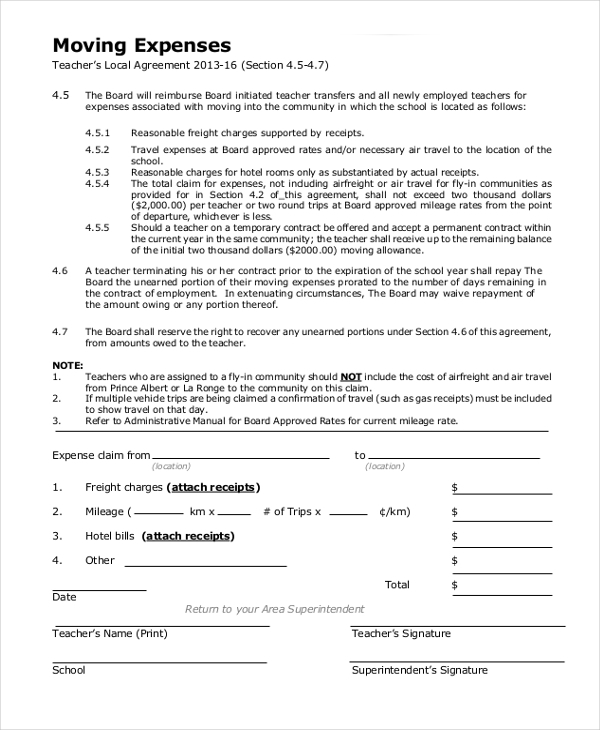 Colleges/Universities can use this form to reimburse their teachers and students, the expenses that they may have incurred while traveling or attending an event on behalf of the college/university. How Can One Design a Expenses Form? Start by adding the name of the organization for which the form is being designed. This should be followed by the details like address, phone number etc. It would be a good idea to tabulate the various subheads and this would give the form a more organized appearance. Decide on the subheads based on the various expenses that the employees or the organization is likely to incur. 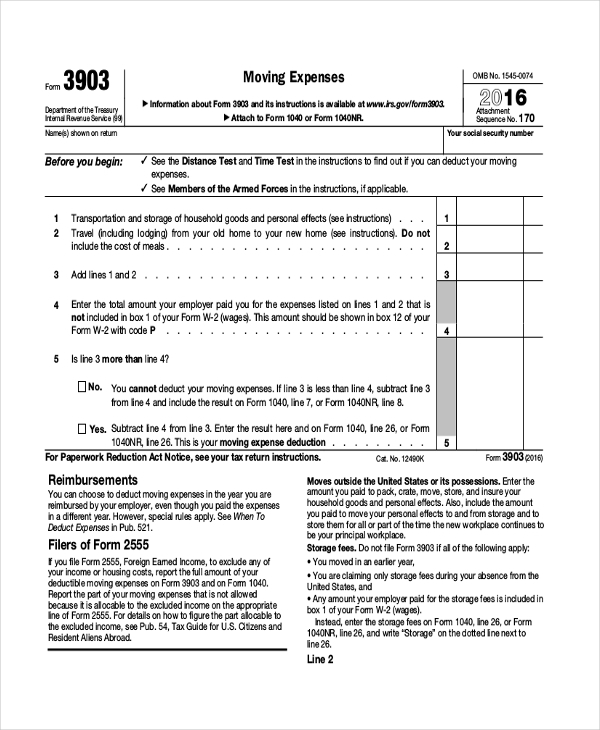 Include a section for deductions and another one to calculate the total. Leave out some space to add in the seal and the signature of the authority concerned. Using an expenses form like a travel reimbursement form or a business expenses form can surely simplify the whole reimbursement process. 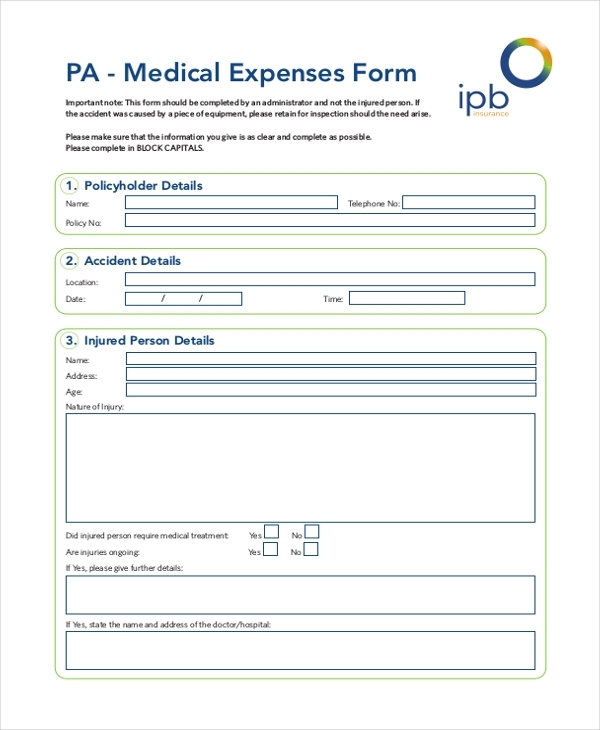 In case, you need some assistance in designing such a form, take a look at our vast collection of expenses forms. These are designed by experts and look extremely professional. You can easily customize these forms by making changes to the format as per your need. You can also personalize them by adding personal details.